This online shop site is designed to showcase the client's products and make it easy for customers to select and purchase online. 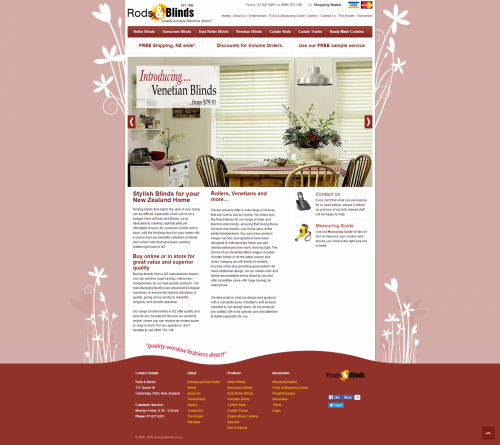 Rods & Blinds are specialist manufacturers of a range of blinds, made to measure curtain rods and tracks. All their products are made onsite and are of extremely high quality.